Here's my plan: to give you our Thanksgiving menu dish-by-dish over the course of this week in order of successfulness (from lowest to highest). Successfulness will be judged by four main criteria: looks, taste, festiveness, and lastly, whether or not it caused me pain. (I had a mean case of strep throat over the holiday weekend.) Are you in? 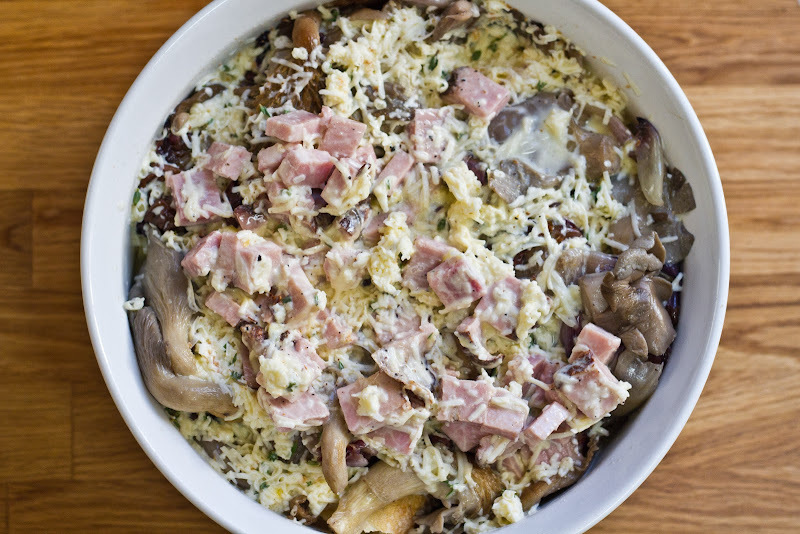 OK, let’s begin with Tartine Bread’s savory bread pudding. 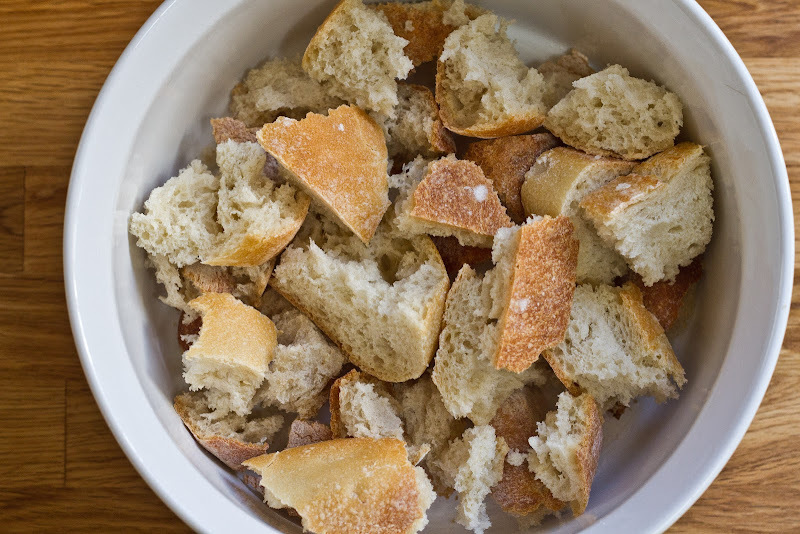 Matt is going to fiercely disagree with me about leading off with this dish, but then again this blog isn’t called Matt's Top Picks now is it? I guess it wound up in the lead-off position because I had unreasonably high expectations for it. See, the process of making it is where this dish really shined for me. The leeks sautéed in butter and white wine smelled divine. 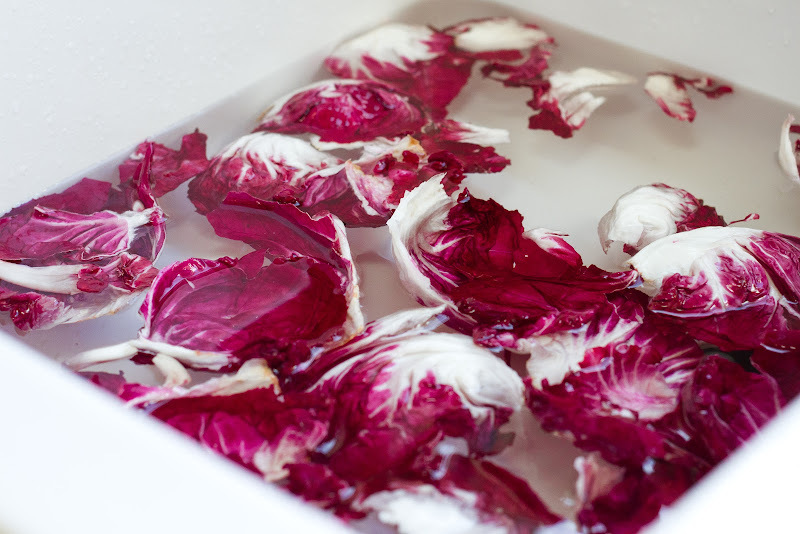 And then there was the beauty of the magenta-colored radicchio and the part where I added mushrooms to smoking-hot olive oil and let them get all caramelized. This bread pudding's shortcoming? Simply existing next to dishes I liked better in my dilapidated, under-the-weather state. If my blog template would allow me, I'd give it an emoji score of two smiley faces, two hearts, and one lady with a surgical mask (to connote that I was sick when I ate it). What's up next? In the words of Ira Glass, "Stay with us." Note: You can assemble the dish a day ahead and store it in the refrigerator, letting it come to room temperature before baking. Bake the pudding an hour before you want to serve it. Melt the butter in a skillet over medium heat. Add the leeks and saute until soft, 6-8 minutes. Add the wine and cook, stirring occasionally, until most of the wine evaporates, about 5 minutes. Remove from heat. Heat a large, heavy-bottomed skillet over high heat. Add enough olive oil to coat the bottom of the pan. When the oil is smoking, arrange the mushrooms cut-side down in the pan and cook without stirring until seared and caramelized, about 1 minute more. Stir the mushrooms, add the radicchio, and cook until wilted, about 1 minute. Season to taste. Remove from heat. To make the custard, in a bowl, whisk the eggs and salt until well blended. 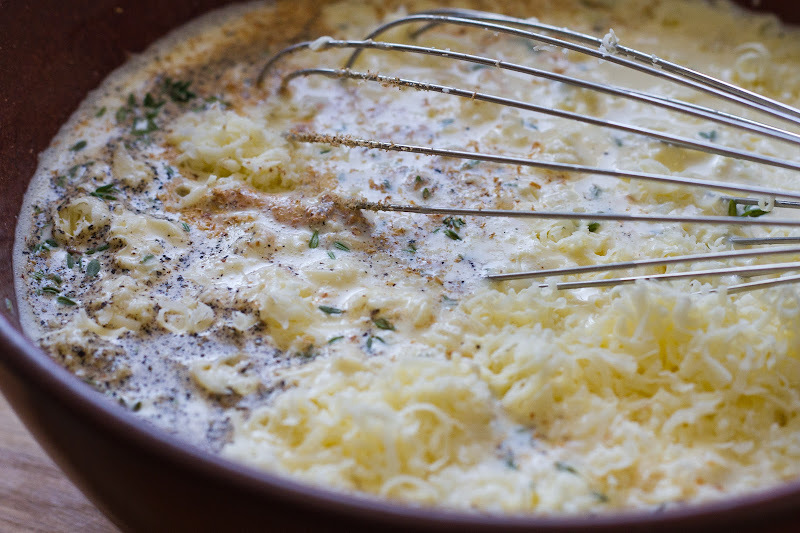 Add the cream, milk, pepper, nutmeg, thyme, cheese, and ham, and whisk to combine. Place the bread chunks in an 8-inch souffle dish and add the leeks, mushrooms, and radicchio. Pour in the custard so that it comes all the way to the rim. Sprinkle evenly with the grated cheese. Let stand 8-10 minutes until the custard saturates the bread. Bake until the custard is no longer runny in the center, about 50 minutes. Let rest for 15 minutes before serving. This was my favorite dish. Just wait until I launch Matt's Top Picks... you'll see. Gorgeous photos! I seriously want to eat this right now. 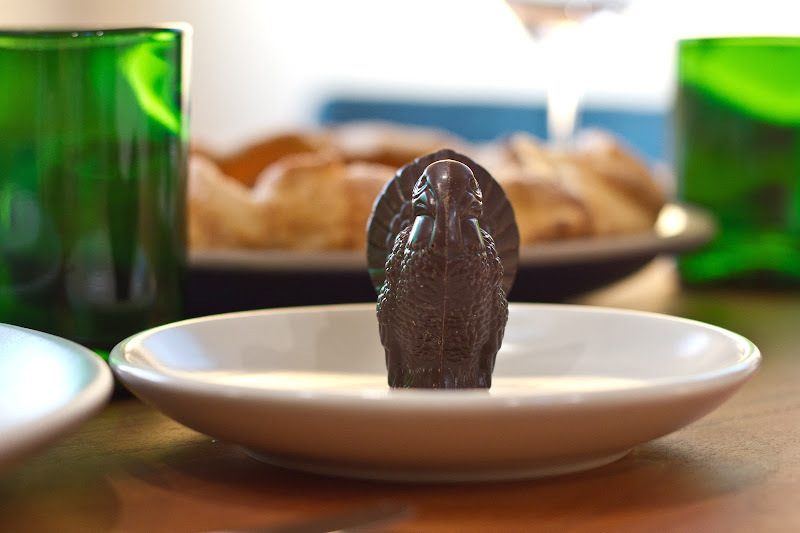 Can't wait to see the rest of your Thanksgiving menu! Matt...you owe it to yourself! Amazing. Have such fond memories of the bread pudding at tartine. I think it was a chief reason I found it hard to wear my jeans after our trip to San Fran. Looks fantastic! Now I can't wait to see what else you had for Thanksgiving. p.s. I'd read Matt's Top Picks! 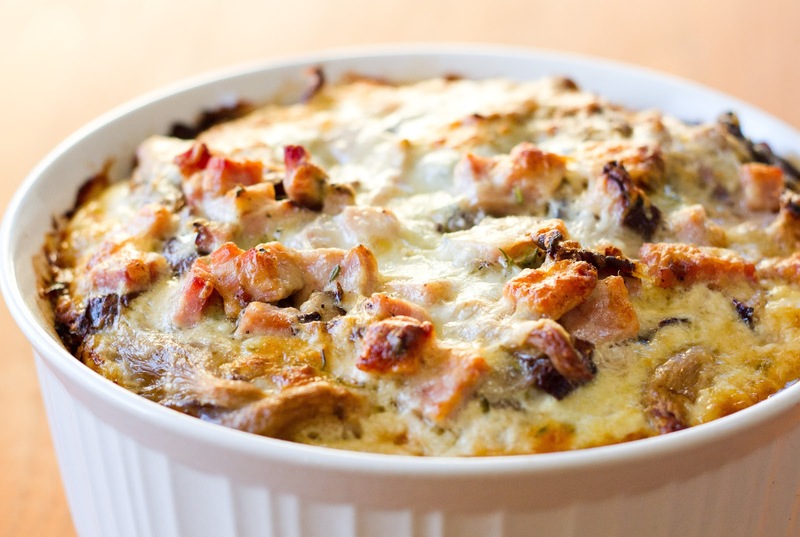 I never thought of bread pudding as a savory! Hmmmm...can my waist stand it? I think I have to go with Team Matt here... Maybe you just need to serve this another time? 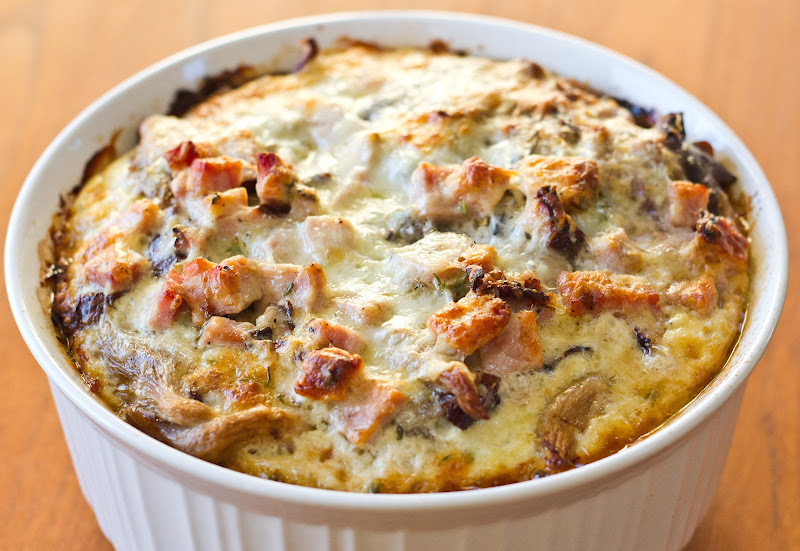 We have savory bread pudding at our house every Christmas morning and it's amazing. Consider it. Yuuum! I really want to see what else you made if this is the least successful to you. I think I would be on team Matt too, it looks awesome! ok, that looks AWESOME. there is no possible way that weirdo cranberry jello could have been better than this. Gruyere, radicchio and mushrooms! In a casserole! Sounds pretty darn good - and hard to beat. That chicken has to have been excellent. Just want to add that I love Bon Appetempt! Funny+Food=Fun! Keep it up.